As a company that specialises in supplying ruler, at The Ruler Company we know how important it is for individuals of all ages and from all industries to have access to durable and accurate rulers. Rulers are crucial on a day to day basis for all kinds of people, and not just students studying at school or college. Although they use them regularly, often every day, so too do adults in a wide variety of fields. For example, you may have a job in engineering, graphics or another sector, that requires you to measure out or draw accurate and straight lines and graphics. So, whether you are a student or employed, a ruler is a crucial piece of stationery that you need for your bag, pencil case or even a briefcase. 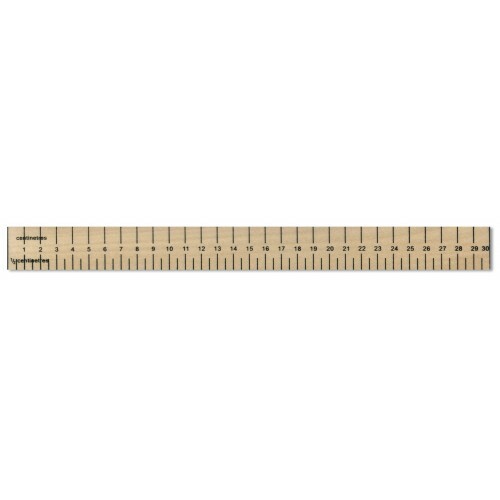 If you are searching for a very simple, but extremely precise ruler, you should take a look at this 30 cm Dead Length Flat ruler available right here from The Ruler Company. Portable and simple, it has all you need to make accurate drawings and measurements and consists of markings for 0 to 30cm on the front and graduates in 0.5cm. The back of this ruler is plain. Unless stated otherwise, all of the rulers available from our online store are made from highly durable and reliable hardwood. We have chosen hardwood because it has a more tactile and weightier feel and is less likely to break or snap, unlike many of the cheaper plastic alternatives available nowadays.